What a great quote from J K Rowling! 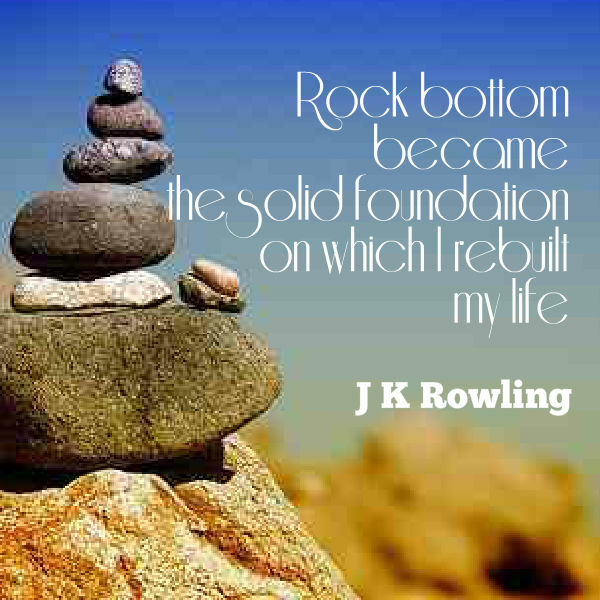 To know someone so successful hit rock bottom and rebuilt her life in such an amazing way should give anyone hope. Sometimes I think rock bottom is necessary, and can actually help you. If you can pick yourself up from feeling so low, you can give yourself a fresh start and build your life the way you need it to be this time.